Ingredients include tropical plant and marine extracts, which locks moisture into your skin for hours. 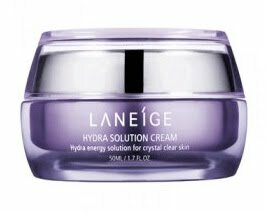 Laneige products are rather pricey compared to other brands in Korea. The texture isn't too thick.. rather acceptable. 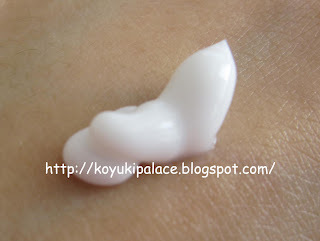 I usually use cream during the night, but even if I use this one during the day, it isn't too sticky.. Suitable for any skin type since it provides a lot moisture and hydration for your skin. It improves skin texture and gives radiance if your skin became rough, dull and dehydrated due to weather changes. It comes in a purple elegant jar with a spatula so you don't need to dip your fingers into the jar. I start to get into the habit of using a spatula for any skincare in a jar.